From Goodreads.com: "On the morning of December 22, 2005, Matt Long was cycling to work in the early morning when he was struck by and sucked under a 20-ton bus making an illegal turn. The injuries he sustained pushed him within inches of his life. Miraculously, more than 40 operations and months later, Matt was able to start his recovery. In spite of the severity of his injuries, Matt found the psychological consequences of the accident nearly as hard to process. He would no longer be able to compete at the highest level. In the 18 months before the accident, he had competed in more than 20 events including several triathlons and marathons and had qualified for running's most prestigious race, the Boston Marathon. After the accident, his doctor told him he'd be lucky if he could even walk without a cane. The Long Run is an emotional and incredibly honest story about Matt's determination to fight through fear, despair, loneliness, and intense physical and psychological pain to regain the life he once had. The book chronicles Matt's road to recovery as he teaches himself to walk again and, a mere three years later, to run in the 2008 New York City Marathon—a gimpy seven-and-a-half hour journey through the five boroughs. "Running saved my life," Matt says, and his embrace of the running community and insistence on competing in the marathon has inspired many, turning him into a symbol of hope and recovery for untold numbers of others." 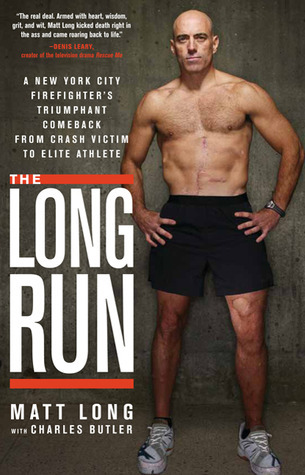 "The Long Run" is an incredible story of one man who is a firefighter with the New York City fire department. Because of the landscape of New York City, firefighting there has to be incredibly difficult. Long is dedicated to his job and to staying in the best physical condition that he can be in to be the best firefighter he can be. Life often has plans for us that we do not expect. It can be difficult but as Long's story shows, the human spirit is something to be reckoned with and where there is a will, there is a way! Long suffers a horrific bicycle accident. He doesn't think that he's ever going to be able to fight fires again. He definitely doesn't think that he's ever going to be able to run again. When you hear the descriptions of his injuries in this book, you will think that there's no way that he'd be able to walk again let alone run. First he stands, then he walks, then he runs and he gives readers a front seat to it all. You cannot help but to admire this man and how he is committed to doing what seems to be impossible! This is one of those books about one of those people that has such an incredible amount of strength and want to succeed that you can't help but to be inspired. This book seems like it can't possibly be true but it is and it's one of those stories that will stick with you for a long time! It's an incredibly inspirational story that had me rooting for long throughout the book. And it's a story that I will not forget! From Goodreads.com: "A beautiful and distinguished family. 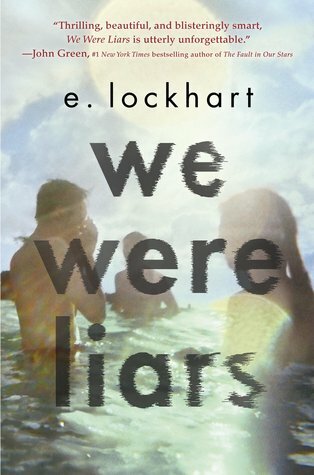 "We Were Liars" is the story of a group of tightly knit cousins. Every summer, they go to the same island where each family has a house. The island is idyllic and every summer is filled with memories, good and then eventually bad. Filled with twists and turns and an ending that I definitely did not see coming, this was a great book that kept me on my toes. At first I wasn't sure how I was going to like the characters. The family is extremely rich and the cousins often don't seem to realize how good they have it. They also seemed a bit flat at first and I felt like I was being held at arm's length from the action. As the story goes on though, you see that there is a purpose to feeling like you are not in the midst of the action. Eventually the story expands to the point where you are enveloped in the web of secrets and lies that the whole family is holding on to. 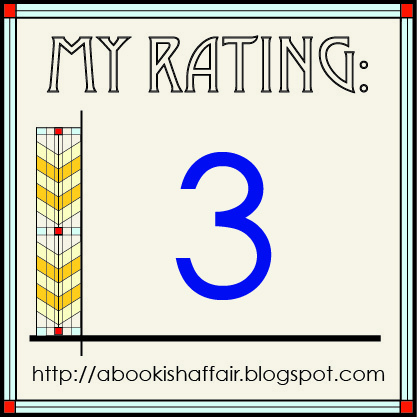 I loved how the author was able to make me as a reader go through these different phases. I don't want to tell you too much about the plot. So much of the book hinges on being surprised! 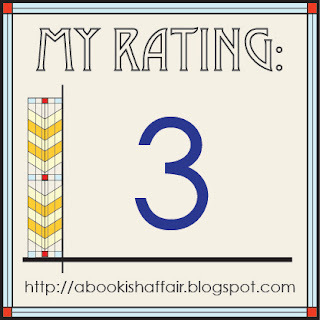 The story itself is interesting but how it's told (very carefully) and how it unfolds makes this book very good. 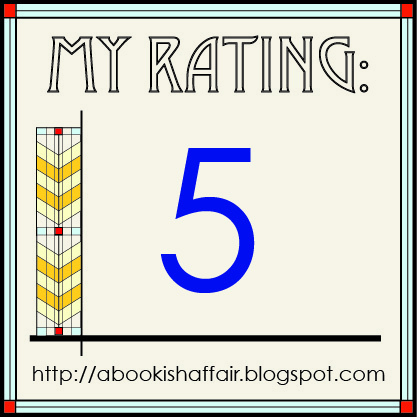 This would be the perfect book for you if you like unreliable narrators and family secrets! From Goodreads.com: "From two of our most fiercely moral voices, a passionate call to arms against our era’s most pervasive human rights violation: the oppression of women and girls in the developing world. 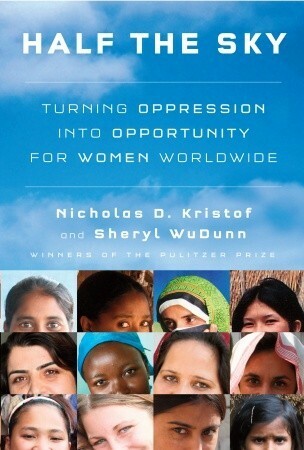 Through these stories, Kristof and WuDunn help us see that the key to economic progress lies in unleashing women’s potential. They make clear how so many people have helped to do just that, and how we can each do our part. Throughout much of the world, the greatest unexploited economic resource is the female half of the population. Countries such as China have prospered precisely because they emancipated women and brought them into the formal economy. Unleashing that process globally is not only the right thing to do; it’s also the best strategy for fighting poverty." "Half the Sky" is an important look at how what policies and aid we provide other countries as a government can help women. In many countries, women still struggle more than their male counterparts. Their choices are limited and the roads to advancing their lives and the lives of their family are limited. This is a huge humanitarian issue and I appreciated the light that the authors were able to shed on this very important subject! Drawing largely on anecdotes from many different countries, this book seeks to give a human face to the things that way too many women face in the world. Some of the stories are quite hard to read as it hurts to imagine humans having to live the way that many in this book live. It is one thing to think about the foreign aid that the U.S. government gives to other countries as money that goes into a black hole and is merely being taken away from Americans. It is a very different thing to understand what individuals are facing and how lending a hand can make them so much better off. What we do abroad doesn't only have an impact on other countries but on our own country as well. Goodwill pays dividends. This book is a call to action. You may ask why we should help others abroad when Americans are hurting. First off, foreign aid is a very, very small percentage of the overall U.S. budget but as this book goes, this little bit of money can make a HUGE impact. And yes, it helps people abroad but our world is more stable when we pull up those at the bottom and with all that is going on in the world, stability is not a bad thing. This is a great pick for those wanting to understand more about why continuing to help others outside of our country is so important! 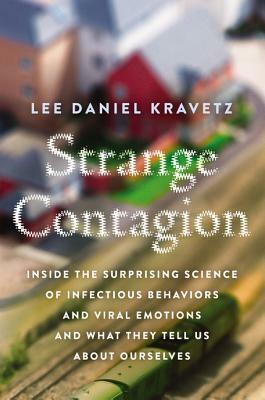 Synopsis: "Picking up where The Tipping Point leaves off, respected journalist Lee Daniel Kravetz’s Strange Contagion is a provocative look at both the science and lived experience of social contagion. The answer? Social contagion. We all know that ideas, emotions, and actions are communicable—from mirroring someone’s posture to mimicking their speech patterns, we are all driven by unconscious motivations triggered by our environment. But when just the right physiological, psychological, and social factors come together, we get what Kravetz calls a “strange contagion:” a perfect storm of highly common social viruses that, combined, form a highly volatile condition. "Strange Contagion" is a look at how ideas, thoughts, and emotions can be passed between different people. When I hear the word contagion, I think about things like communicable diseases. They are passed from person to person because of people being in close proximity to others. In this book, Kravetz explores how this same sort of passing from person to person can happen with a whole array of things to include thoughts even when the person being passed the thoughts had never had that particular thought before. I thought it was interesting that Kravetz was drawn to this subject after a rash of teenage suicides plagued his town. Now he happens to live in Palo Alto, California, one of the most affluent areas. It has good schools and the families that live there have the resources to be able to take care of whatever is illing them so the rash of suicides is puzzling. Kravetz wonders what is going on. Looking at theories and data, he starts drawing connections between how our feelings can pass to each other and what is to be done about it. It is fascinating and something that I hadn't really thought about before but when you start parsing it out, it makes sense. If someone around me is sad or scared, I can feel myself picking up on that feeling. Kravetz also explores how these catching feelings can also mean something good like innovation. This would be a good read for those who enjoyed books like "The Tipping Point" or other books about things that on their face don't seem to have a real connection to each other but you find the connections when you're willing to dig a bit and consider the unexpected. From Goodreads.com: "In the heyday of the British Raj, eleven-year-old Anahita, from a noble but impoverished family, forms a lifelong friendship with the headstrong Princess Indira, the privileged daughter of Indian royalty. As the princess's official companion, Anahita accompanies her friend to England just before the outbreak of World War I. There, she meets young Donald Astbury—reluctant heir to the magnificent, remote Astbury Estate—and his scheming mother. Ninety years later, Rebecca Bradley, a young American film star, has the world at her feet. But when her turbulent relationship with her equally famous boyfriend takes an unexpected turn, she's relieved that her latest role, playing a 1920s debutante, will take her away from the glare of publicity to a distant corner of the English countryside. Shortly after filming begins at the now-crumbling Astbury Hall, Ari Malik, Anahita's great-grandson, arrives unexpectedly, on a quest for his family's past. What he and Rebecca discover begins to unravel the dark secrets that haunt the Astbury dynasty . 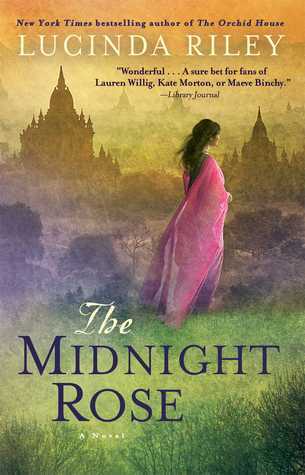 . ."
"The Midnight Rose" is the story of Anahita, a young girl who has the fortune of being taken in under the wing of Princess Indira, a daughter of Indian royalty. Even thought Anahita is not a princess, she goes where the Princess goes, which means her life is open to many more possibilities than other girls of her time and social stature. Almost 100 years later, film star Rebecca is filming in an old English manor. The residents of the manor seem to be hiding a secret that Rebecca will unravel before she leaves. Told in two different times, this book is filled with twists, turns, and family secrets. 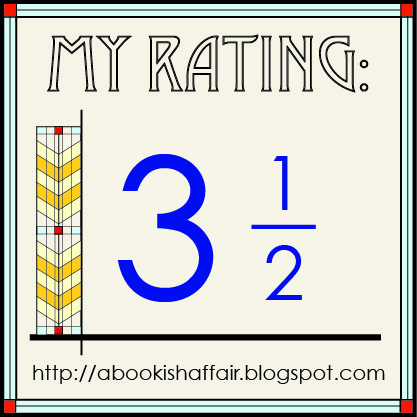 Historical fiction books set in two times are often a mixed bag for me. Typically, I end up liking the story set in the past but not the one set in the present because so much of the present story falls back on the past story and would seem rather flat without it. This book is definitely not that way. The present story still has a lot of twists and turns that have very little to do with the story set in the past. This made the present day story feel much more exciting to me. It also made the story feel more balanced. The book is set between India and England, two places that I love to read about. The author gives really good descriptions of both places - this is the kind of book that you get lost in. I especially loved the description of Anahita growing up in India. There are so many good descriptions of the court and what it was like to live at court. Anahita follows the princess to school in England and I loved the descriptions of how different both of them find England and how both of them deal with the differences. In the present day, the descriptions of the manor and the secret that it hides are fantastic. Anahita has a love affair with an English gentleman in the past story that will drive the mystery at hand in the present day story. This book kept me on my toes and I love the way the author was able to bring everything together in a nice, neat way by the end of the book. 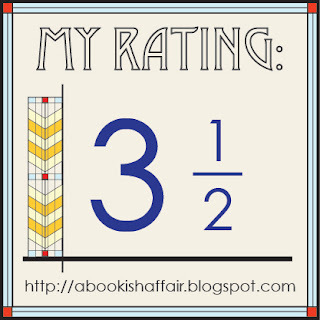 This is a solid choice for historical fiction lovers! Eilis finds work in a department store on Fulton Street, and when she least expects it, finds love. Tony, who loves the Dodgers and his big Italian family, slowly wins her over with patient charm. But just as Eilis begins to fall in love with Tony, devastating news from Ireland threatens the promise of her future." 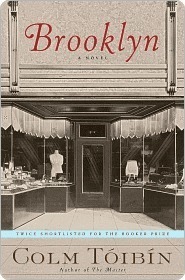 "Brooklyn" is a book that I started a couple years ago and couldn't finish. I don't exactly remember why I didn't finish it but initially but I couldn't quite get into the book. I picked it up again after having seen the movie about a year ago. This time I enjoyed the story a little bit more. In this book, Eilis is a young woman who leaves behind everything she knows in Ireland to go to New York City in the 1950s. She leaves her tightknit family behind and isn't sure how long she'll be able to connect with them after she leaves. Most of the book is involved with Eilis learning to be by herself and to come into her own. She has to navigate her new country and brand-new city and make several stumbles along the way. She has dreams of doing something more than working in the store where she works and isn't sure she'll be able to find anything better in America. She ends up falling in love with an Italian and is torn between her old world and her new world. You feel for her plight throughout the book. I think one of the things about this book that may have turned me off the first time is that even with all that happens in the book, it's still a relatively quiet book and a bit predictable. There are some turns and we do get to see how Eilis changes and grows throughout her journey. The changing definitely kept me a little bit more engaged. Overall, this was nice take on an immigrant story. From Goodreads.com: "Seventeen-year-old Ivan Isaenko is a life-long resident of the Mazyr Hospital for Gravely Ill Children in Belarus. For the most part, every day is exactly the same for Ivan, which is why he turns everything into a game, manipulating people and events around him for his own amusement. She is exquisite. Soon, he cannot help being drawn to her and the two forge a romance that is tenuous and beautiful and everything they never dared dream of. Before, he survived by being utterly detached from things and people. Now, Ivan wants something more: Ivan wants Polina to live." 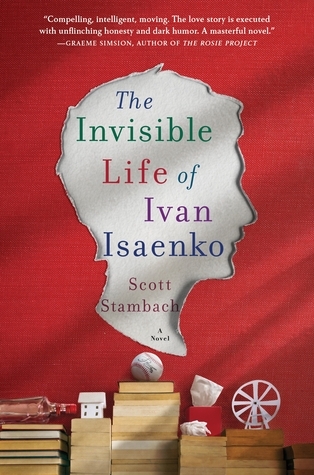 "The Invisible Life of Ivan Isaenko" is the story of Ivan, a teen born with physical disabilities and in Belarus, physical disabilities often force parents to give up their children so his home is the hospital he has lived in long term. He's bored. He's angry. He hates the hospital and wants to leave until he meets Polina, a gravely ill teen who changes Ivan's outlook and gives him something to hope and live for. This book is along the same lines as "The Fault in Our Stars" but is more stark and harsh. Both the characters of Ivan and Polina are what really make this book. Even though Ivan spends most of his time causing chaos in the beginning of the book before Polina makes her appearance, you fall for him. The author is able to easily elicit feelings of wanting something better for Ivan, for his circumstances to be different. Polina is a bright light that seems to take her diagnosis in stride. Ivan is the natural king of the hospital but Polina isn't afraid to challenge him and shake his world up. I love reading books set in places that I don't know a lot about. This book gives us an introduction to Belarus. Ivan has physical disabilities caused by his parents being exposed to the Chernobyl explosion. Although that explosion happened in Ukraine, much of the toxic air blew into Belarus and affected many people there. This book gives readers a look into how that country is coping with the people affected as well as the sad situation of many of the hospitals there. I enjoyed this book. Although parts of it are dark, the main message seems to be to look for the beauty even in dark times and even if it is fleeting. Not a bad message! It is a fantastic story and it has been turned into a movie by HBO. I am so happy that I got the chance to watch it! 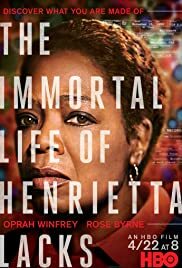 The movie stars Oprah Winfrey as Henrietta Lacks' daughter who is still not sure what her mother's legacy really means. It also stars Rose Byrne as Rebecca Skloot, the author who wrote "The Immortal Life of Henrietta Lacks." The book does focus on Lacks' family but it really doesn't focus on Skloot and how she wrote the book. The movie does focus on the making of the book, which I really enjoyed. Skloot has to go through a lot to gain the trust of the Lacks family. They are very distrustful of anyone that comes around asking about there mother. Rightfully so as any time anyone comes around, they seem to be interested in making a buck off the family. They still feel that they are owed something as their mother's cells are still being used so widely. The movie explores the complicated relationship between science and race and between people being uneducated about certain subjects and how others take advantage of that when they should know better. I loved the movie's treatment of all of that! The acting in the movie is really good. Although Skloot does talk about what Henrietta was like, you get a much better sense of who she was as a person through the movie, which I loved. Throughout the movie, there are flashbacks to when Henrietta was alive and when she got diagnosed with cancer. We also get a good sense of who her family is and what her family has been through. I loved the intersection between science and the personal way that it can affect people. This was a great movie and I fully recommend it! Thanks to ThinkJam and HBO for a copy in exchange for my honest review! From Goodreads.com: "Captain Jefferson Kyle Kidd travels through northern Texas, giving live readings from newspapers to paying audiences hungry for news of the world. An elderly widower who has lived through three wars and fought in two of them, the captain enjoys his rootless, solitary existence. Arriving in San Antonio, the reunion is neither happy nor welcome. The captain must hand Johanna over to an aunt and uncle she does not remember—strangers who regard her as an unwanted burden. A respectable man, Captain Kidd is faced with a terrible choice: abandon the girl to her fate or become—in the eyes of the law—a kidnapper himself." In "News of the World," Captain Kidd is a news reader. 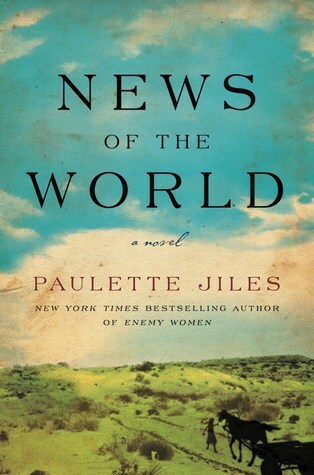 He brings the news of the world to the people of Texas who otherwise may never know what is going on in the world. To some degree, he enjoys his solitude as he travels from place to place. His world is up-ended when he is asked to return a young girl, Joanna, to her family many years after she was stolen away from members of the Kiowa tribe. The relationship between Captain Kidd and Joanna is at the center of this book. They develop a really amazing friendship that illustrates why our connections to other people are so important as we make our way in the world. No man is an island and we get so much out of interacting with others as the Captain and Joanna show in this book. Joanna doesn't speak much English at all so Captain Kidd dedicates himself to trying to teach her all sorts of different words so she will be ready to go back to her family. While teaching her words, he teaches her a lot about the way the world works and she becomes fascinated with his work and gives him the support that he didn't realize he was missing. This is a very quietly written story that packs a big punch. For history and historical fiction lovers, it gives a lot of insight into the time period in the United States just after the Civil War. The country is still trying to rebuild as it expands westward. Texas is the proverbial "wild west" with outlaws and bandits and very few restrictions as we see with some of the things that happen to Joanna and Captain Kidd throughout the book. This is a great historical fiction! From Goodreads.com: "Few Americans today recognize his name, but Lowell Thomas was as well known in his time as any American journalist ever has been. Raised in a Colorado gold-rush town, Thomas covered crimes and scandals for local then Chicago newspapers. He began lecturing on Alaska, after spending eight days in Alaska. Then he assigned himself to report on World War I and returned with an exclusive: the story of "Lawrence of Arabia." In 1930, Lowell Thomas began delivering America's initial radio newscast. His was the trusted voice that kept Americans abreast of world events in turbulent decades - his face familiar, too, as the narrator of the most popular newsreels. His contemporaries were also dazzled by his life. In a prime-time special after Thomas died in 1981, Walter Cronkite said that Thomas had "crammed a couple of centuries worth of living" into his eighty-nine years. Thomas delighted in entering "forbidden" countries--Tibet, for example, where he met the teenaged Dalai Lama. The Explorers Club has named its building, its awards, and its annual dinner after him. Journalists in the last decades of the twentieth century--including Cronkite and Tom Brokaw--acknowledged a profound debt to Thomas. Though they may not know it, journalists today too are following a path he blazed. In The Voice of America, Mitchell Stephens offers a hugely entertaining, sometimes critical portrait of this larger than life figure." 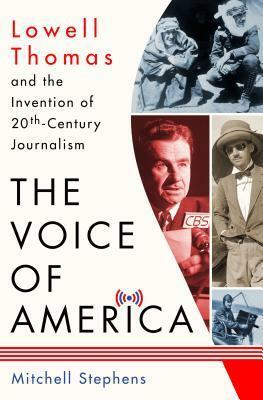 "The Voice of America" is the story of Lowell Thomas, a journalist whose life seemed to follow the news through its different forms of presentation: paper, radio, television. He was once the most well-known journalist in the U.S., truly the Voice of America, well before the likes of Walter Cronkite and Tom Brokaw. It's no secret that there are a lot of questions about journalism and media these days. Have a certain opinion? There is probably a news outlet or "news outlet" that will cater to your opinion without making you think critically or examine your beliefs. Back when Lowell Thomas first started writing, he was very much interested in giving people the "just the facts, ma'am" treatment of the news in a thorough yet entertaining way. He is the journalist that brought us the story of Lawrence of Arabia (frankly, I don't think I knew that was a true story before this book)! As you get to see in the book, he was not afraid of getting his hands dirty and going to the places where the news was being made. I also found it fascinating how his career spanned the different popular news resources of the 20th century. He first wrote his stories before moving on to the radio. The way that the author shows how his career changed as the medium changed was fascinating. The author gives a lot of detail of how Thomas was able to continue to be relevant for decades by adapting to new technology while still telling good stories. This book was fascinating! Although I never lived through those times truly, this book made me long for the day of news based on what was actually happening rather than a talking head's lens of what was happening. This is a good pick for history lovers! 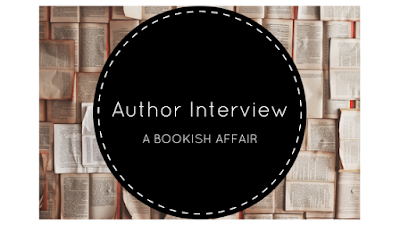 I am very excited to welcome Kate Quinn to A Bookish Affair today. 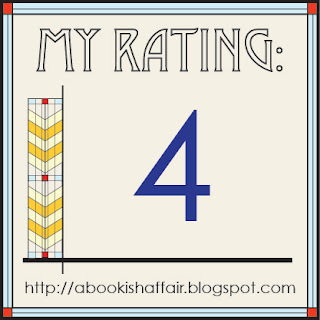 As you can see from my review yesterday, I loved her latest release "The Alice Network." Now she's here! "The Alice Network" takes place in the 20th century, a new time for you. What drew you to write about World War I and the period just after World War II? I love ancient Rome and Renaissance Italy, where my previous six novels are set, and I'd love to write more books there someday, but I've always had ideas for stories in a wide array of historical periods. When I saw the huge recent boom in popularity for 20th century war fiction, it made sense to revisit some of those old plot ideas, and see if anything grabbed my imagination. It did! 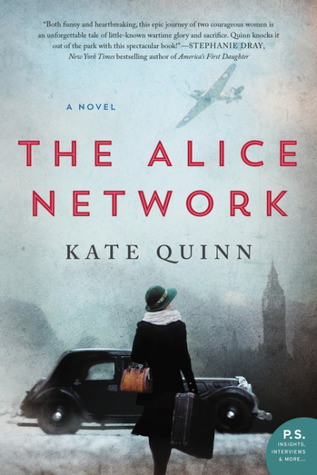 And when in my reading I came across the Alice Network—a ring of World War I informants in German-occupied France, many of them female, run by a petite Frenchwoman whose skill and success earned her the nickname “The Queen of Spies”—I knew I had to tell that story. 2. A little birdy told me that you were able to get your hands on some pretty cool research for this book. Can you tell us about some of the sources you were able to look while writing? I'm lucky enough to count among my good friends a multi-lingual history buff named Anna who is my go-to source whenever I need language assistance. She has family ties in both Germany and France, and was thrilled when I started writing "The Alice Network" since her French ancestors come from the Lille area where much of the book is set. Anna had great-great-uncles and aunts who endured the German occupation in World War I, and she knew her French relatives were just starting to go through the family papers and archives. She translated old letters for me over time; we were only hoping to find period detail about wartime life under German rule, but eventually we found something much better: several of Anna's ancestors not only knew the Queen of Spies, but very probably helped in the Alice Network! It was a thrilling bit of research, and with the family's permission I wove several of their ancestors into the book as minor characters. 3. Who is your favorite character in the book and why? I love my heroine Eve as she appears in the 1947 timeline: a former soldier and spy who swears like a sailor, drinks like a fish, and drops sarcastic bon mots everywhere she goes. I love writing battleaxe women with biting wit. 4. What scene was the most fun to write? The scene where a very smart, very arrogant villain finally realizes how thoroughly he has been fooled by a woman he has fatally underestimated. I took a glorious satisfaction in wiping the smug look off his face on the page. 5. Can you tell us what's next for you? My husband, because he has survival skills. Homer's Odysseus, because he could easily McGyver all of us off a desert island given time. And Siri, because once off the island, neither Odysseus nor my husband nor I can be relied upon for directions. From Goodreads.com: "1947. In the chaotic aftermath of World War II, American college girl Charlie St. Clair is pregnant, unmarried, and on the verge of being thrown out of her very proper family. She's also nursing a desperate hope that her beloved cousin Rose, who disappeared in Nazi-occupied France during the war, might still be alive. So when Charlie's parents banish her to Europe to have her "little problem" taken care of, Charlie breaks free and heads to London, determined to find out what happened to the cousin she loves like a sister. Thirty years later, haunted by the betrayal that ultimately tore apart the Alice Network, Eve spends her days drunk and secluded in her crumbling London house. Until a young American barges in uttering a name Eve hasn't heard in decades, and launches them both on a mission to find the truth ...no matter where it leads. " "The Alice Network" is the story of two women. There is Charlie in 1947, a young woman who goes to England to begin searching for her missing cousin. Eve is a young woman in 1915 who becomes a spy during World War I as a part of the infamous Alice Network. Both of these women are haunted by ghosts. In Charlie's case, it is her beloved cousin Rose who is missing without a trace. Eve is haunted by Lili, the leader of the Alice Network. Both women desperately believe they may be able to change the outcome for Rose and Lili. This is a stunning story that has so many twists and turns. The way that Charlie and Eve's stories intertwine with each other is fantastic. It's hard to know where to start with a book like this. There's no wrong place so I'll start with the standard - characters! The characters in this book are fantastic. Charlie is headstrong and committed to finding Rose even when Rose's family has seemingly given up. She is indecisive about keeping her baby even though she really doesn't know who the father is. As the story goes on, we see her mettle and what she is really made of. As a reader, it was so great to see this transformation. When we meet Eve in 1947, she is a grumpy old woman who seems quite bitter and really ready to be done with it. As the story unfolds, we see what led up to this. We see what transformed her from an unsure girl who seems relatively happy into an old woman who can't seem to find happiness anywhere. And these are only our two main characters! The supporting characters are amazing too. One thing that I love about Kate Quinn's books is that all of the characters, main and secondary, are so detailed and so stand out! They quickly begin to feel like people that you could possibly know in real life. The story is filled with fantastic historical details. While many characters in the story are fictional or based on a collection of people, there are a lot of characters that are real like Lili. Her story as a spy during WWI is fascinating. I loved how the author went into some detail about how spying was done during WWI. That being said, with as much historical detail as there is, it never feels like the book is a laundry list of cool historical facts. They are truly woven throughout the story, which makes for a really rich read. Perhaps one of the biggest marks of a great book for me is when I am alternating between reading as fast as I can because I have to see what happens and reading oh so slowly so the book doesn't end. It was hard to decide what to do. In the end, this book is one to savor. You savor the connection between all of the different characters. You savor the rich detail. You savor the ways the that events happen and how they are connected throughout the book. All of it is meant to be savored (as hard as it was for me to do that). This is such a good book and I have a feeling that it is quickly going to become one of my favorites to recommend to other people! From Goodreads.com: "After four harrowing years on the Western Front, Tom Sherbourne returns to Australia and takes a job as the lighthouse keeper on Janus Rock, nearly half a day’s journey from the coast. To this isolated island, where the supply boat comes once a season and shore leaves are granted every other year at best, Tom brings a young, bold, and loving wife, Isabel. Years later, after two miscarriages and one stillbirth, the grieving Isabel hears a baby’s cries on the wind. A boat has washed up onshore carrying a dead man and a living baby. 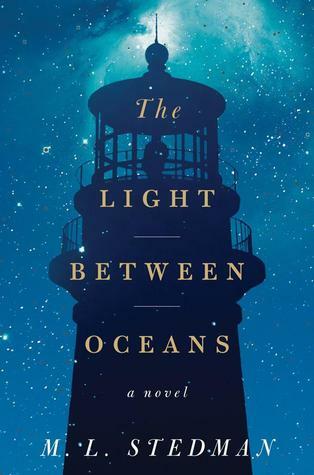 "The Light Between Oceans" is a historical fiction book that takes place in Australia. A couple is charged with keeping the lighthouse functioning on an island. It's just Isabel and Tom and no one else. Isabel longs for a baby but is not having any luck conceiving so when a boat washes up on the shore with a dead man and a baby, it seems like fate has brought the couple the baby that they long for. Isabel instantly takes to the baby even as Tom has misgivings about not trying to find the baby's family. The story follows what happens after Tom and Isabel try to raise the baby. I really liked the setting of this book. Australia is not someplace that I seem to get to visit a lot in my reading. I did like the isolation of the setting and the way that the author described it. The setting and the lighthouse almost become other characters in the book. You wonder if Isabel would act the way she is acting and would hide the secrets that she was hiding if she and Tom were among other people. The characters in the book are fascinating to me. In a way this book feels like a psychological study of two people who are trying to do what they feel is right. Isabel believes that keeping the child is automatically correct. And she pushes her view on Tom. Tom goes along with it. The book explores the fallout of that decision. This was a good read that kept me on my toes waiting to see what would happen to these characters. Soon Jamie finds other survivors, and their ragtag group will travel through the vast reaches of space, drawn to the promise of a new beginning on Earth. But their dream will pit them against those desperately clinging to the old ways. 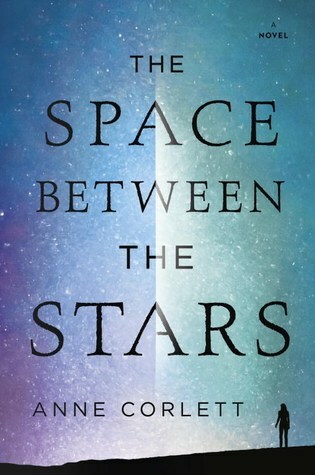 And Jamie’s own journey home will help her close the distance between who she has become and who she is meant to be..."
"The Space Between the Stars" is the story of Jamie, a woman who survives an illness that kills 99.9% of humans. Her almost solitary quiet existence on a distant planetary outpost is suddenly too solitary and she finds herself alone and trying to find other survivors. She teams up with a band of survivors who first travel to a planet where they may not be welcome as survivors of the outbreak and there is a plan to repopulate using forced breeding. They eventually travel back to Earth where she will have to make a choice between a new future and a grasp back to some thread of the past. 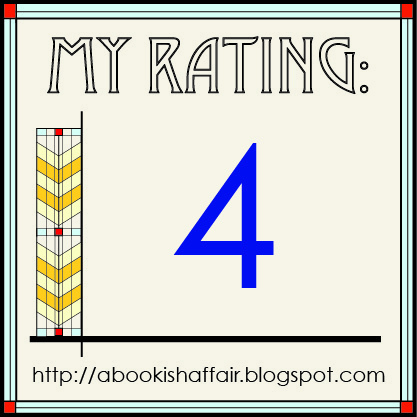 This is a thought-provoking sci fi/ dystopian story that I enjoyed! Although this story has sci-fi and dystopian elements, it is still very much a character driven story. Most of the focus is on our main character, Jamie. We find out that she is still haunted by her ex-lover and by a miscarriage. She wonders if she will ever get another chance to make amends and if she does get to make amends is it to try to go back to the way they once were or is it to make amends to find peace. Jamie will have to decide this for herself. We the readers get a good look at her thought process and how she goes about trying to figure out what she wants. To some degree, this book almost feels like a spiritual journey for Jamie. We learn a lot about Jamie and the other survivors that include a priest and a scientist. The differences between all of the survivors were really interesting to me. We see how each of them views the new world and their place in the new world differently and the perspectives are definitely interesting. I liked some of the concepts in the book. Yeah, the epidemic has been done before a lot but what makes this one different is the idea of interplanetary epidemics added to the very different worlds that people can choose from. For instance, Jamie comes from a place called Solitaire that doesn't really have many people before the epidemic in contrast to how Earth is at the time. I did wish for more detail on things like how the different places came to be and why they are the way that they are. More back story would have been nice but overall, this was still a satisfying character driven story. From Goodreads.com: "After the catastrophic destruction of the Middle East and the United States, Europe has become a utopia and, every three years, the European population must rotate into different multicultural communities, living as individuals responsible for their own actions. While living in this paradise, Max meets Carys and immediately feels a spark of attraction. He quickly realizes, however, that Carys is someone he might want to stay with long-term, which is impossible in this new world. As their relationship plays out, the connections between their time on Earth and their present dilemma in space become clear. When their air ticks dangerously low, one is offered the chance of salvation—but who will take it? An original and daring exploration of the impact of first love and how the choices we make can change the fate of everyone around us, this is an unforgettable read." 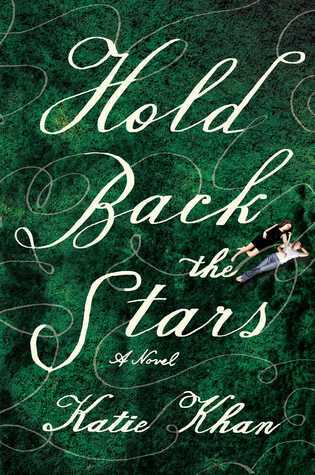 "Hold Back the Stars" is the story of Carys and Max, two star-crossed lovers who live in a world that is supposed to be a utopian world. Earth has been broken up into regions and every certain number of years, everyone in the world switches in order to be more equal. Youth and younger years are supposed to be dedicated to finding and building yourself. Love and family is supposed to be confined to the later years. Max and Carys meet too young and against all odds, they plan to stick together and continue to be in love. When the book opens, Carys and Max are trapped in space drifting away from their broken spaceship. They have a limited amount of oxygen before they will die in space. The book flashes back and forth between the present and the duration of the meeting and subsequent relationship between Carys and Max. The back and forth works really well through about 2/3 of the book. We see why Carys and Max are longing for things to have been different in their world when their relationship was unfolding. We see that even utopias are not always utopias for everyone. I don't want to give anything away but there are multiple endings and this really confuses the story. It was an interesting choice but it almost left me wanting more closure even though you get various kinds of closure through the multiple endings. It almost watered things down for me. The world building in this book was good. The concept of Earth being broken down into regions to promote equality was interesting. I wish that the author had included more information about which regions covered which places. I also wanted to understand more about people not being able to have serious relationships until they are established. Both concepts are interesting and kept me engaged but I wanted more detail. 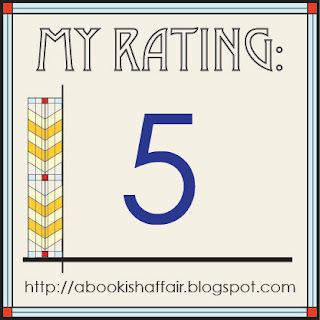 Overall, this book was a good read but I wanted more detail and more solidity in the ending. From Goodreads.com: "When Solène Marchand, the thirty-nine-year-old owner of a prestigious art gallery in Los Angeles, takes her daughter, Isabelle, to meet her favorite boy band, she does so reluctantly and at her ex-husband’s request. The last thing she expects is to make a connection with one of the members of the world-famous August Moon. But Hayes Campbell is clever, winning, confident, and posh, and the attraction is immediate. That he is all of twenty years old further complicates things. What begins as a series of clandestine trysts quickly evolves into a passionate relationship. It is a journey that spans continents as Solène and Hayes navigate each other’s disparate worlds: from stadium tours to international art fairs to secluded hideaways. And for Solène, it is as much a reclaiming of self, as it is a rediscovery of happiness and love. When their romance becomes a viral sensation, and both she and her daughter become the target of rabid fans and an insatiable media, Solène must face how her new status has impacted not only her life, but the lives of those closest to her." 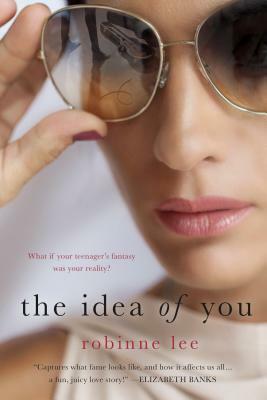 In "The Idea of You," Solene is a successful art gallery owner who is trying to navigate her divorce and remain amicable with her ex, her daughter's father. He's definitely not helping between his upgraded model of a girlfriend and always cutting out on plans he makes with his daughter. So when he can't take Isabelle to a concert in Las Vegas of her favorite boy band, it falls to Solene to shuttle her and her friends to the concert. Little does Solene know that the concert and the meet and greet where she meets one of the boy banders, Hayes will change her life. This was such a fun romance! Solene can't believe she is suddenly dating someone who is only 20 but seems familiar with a world that she doesn't really know. She figures that it's going to be a fling and she can't believe when he wants more. Jetsetting from here to there, Solene's life is turned upside down and she isn't sure she is made for Hayes' lifestyle. The chemistry between Hayes and Solene was great. It was very realistic and I loved that Hayes was so sure of himself and so romantic. The chemistry also felt very realistic. Although Solene really likes him, she holds back a little at first, which felt more real to me and much better than insta-love that often plagues romances. This is the kind of book that you read when you want to relax with a (classy - classy like Solene) cocktail and be thrilled with a story of jet-set romance!